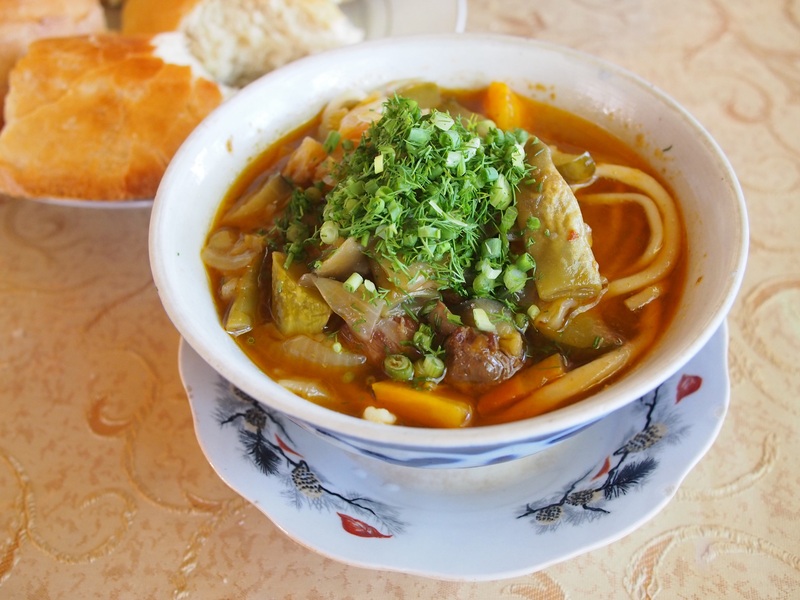 We weren’t expecting much from Uzbekistan’s cuisine, fearing that it might be a little like Mongolian food, and although there is a resemblance we found it to be more vegetable oriented, and tasty if similarly heavy on the mutton. That said, most local restaurants seem to have pretty much the same menu and some days we felt like we were eating the same thing again and again. The ubiquitous round breads called ‘non’ smell incredible and when fresh you don’t need anything with them (though a smear of butter is not a bad thing). They’re served with every meal and are especially good for mopping up the sauce from a soup or stew. 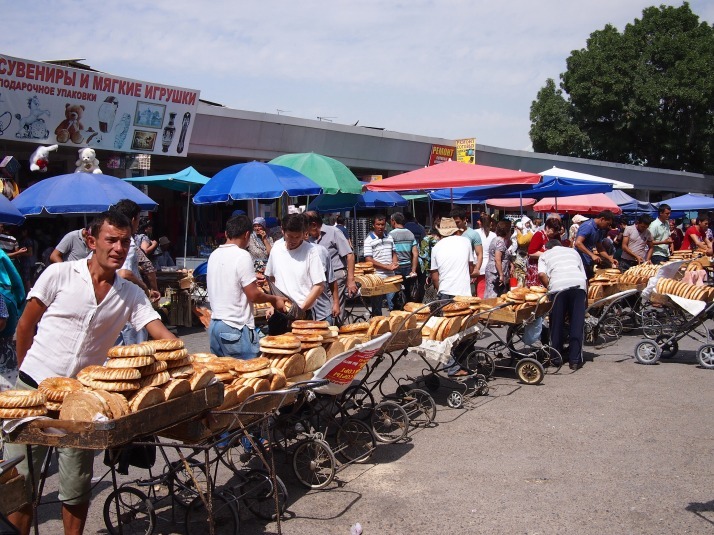 We found that there were small variations in every city we visited, for example, in Bukhara they seemed particularly thick and dense, whilst in Khiva they were almost flat, all crust and very little middle. Plov is the national dish of Uzbekistan. 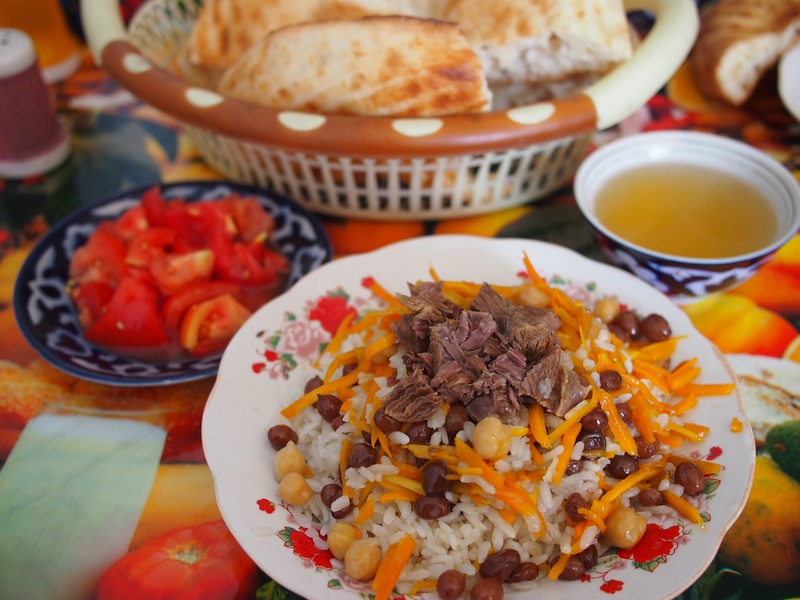 Basically it is mutton cooked with rice and shredded vegetables (chickpeas and raisins sometimes feature too). 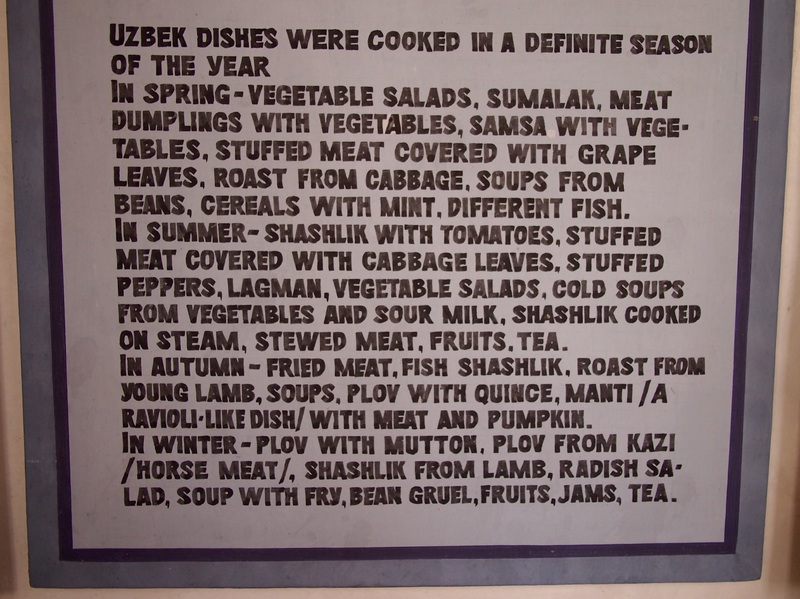 There are slight variations around the country, my favourite was the Bukhara version with lots of juicy plumped up raisins, but the Fergana version with brown rice was good too. It’s usually eaten at lunchtime and is cooked and served from massive cauldrons especially around the town’s market. ‘Salad’ is offered with every meal and the most basic version consists of chopped tomatoes, cucumber and onions liberally sprinkled with dill. In any restaurant fancier than a hole-in-the-wall cafe there were a selection of tasty and interesting salads to choose from, from stuffed slices of fried aubergine to pickled carrots to mayonnaise heavy chopped salads. Tomatoes and cucumbers must have been in season when we visited as the markets were full of perfectly ripe piles of them, we used them as an easy, healthy and cheap addition to a picnic lunch. 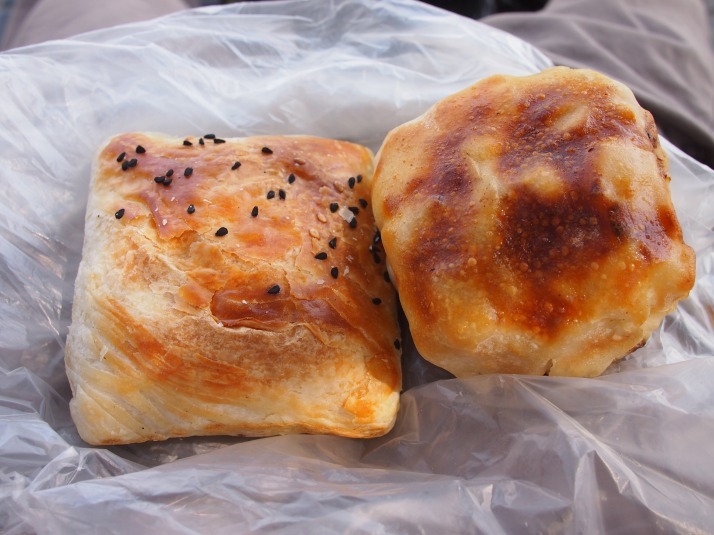 Somsas are basically Uzbek pasties. Although the name comes from the same root as the Indian samosa they are baked not fried. They became our go-to lunch snack with tomatoes and cucumbers on the side. 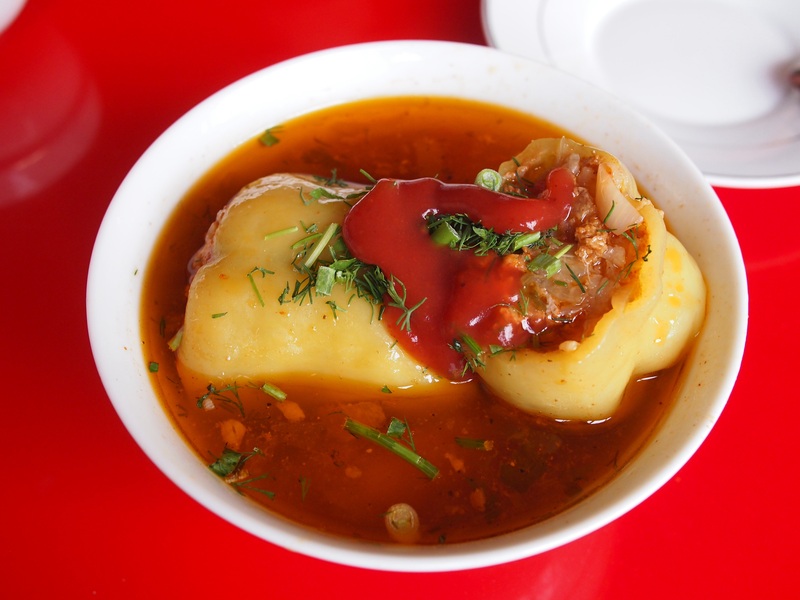 The filling was most often meat and onions but we also had a potato version and a delicious pumpkin version in Samarkand. 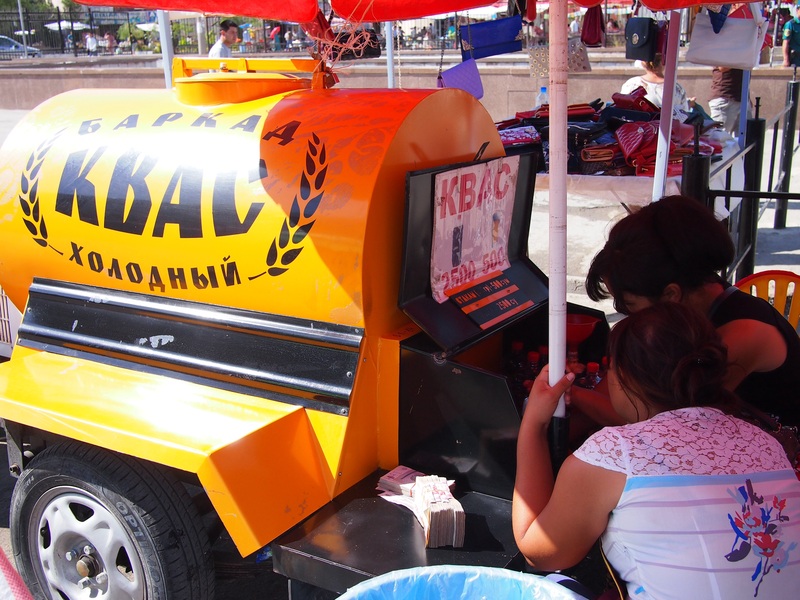 Finding a shashlik stand is easy, not only is it one of the most commonly available street foods, but the smoke and the aroma waft down the street. It is grilled kebabs of meat and occasionally vegetables, especially tomatoes and green peppers. 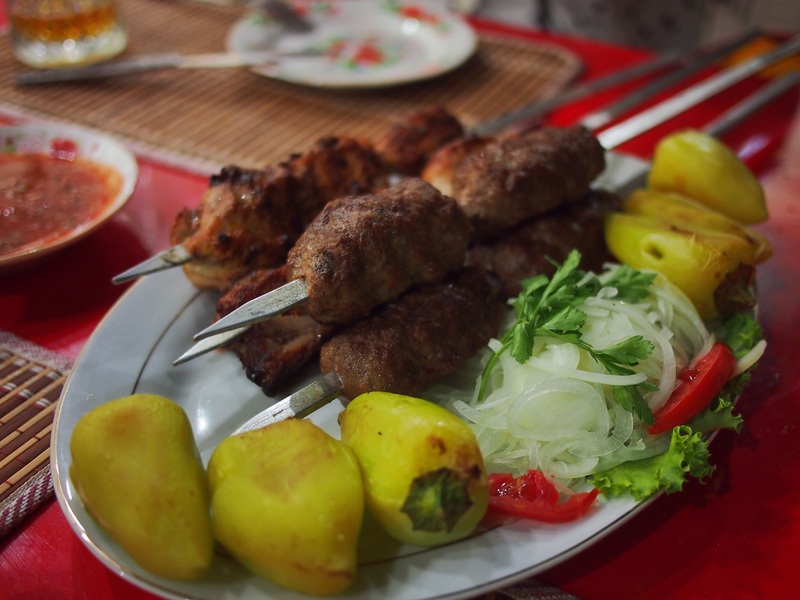 The meat can be chunks of beef or mutton, or mince pressed around the skewer. They are served with a big plate of raw onion which we usually didn’t touch. 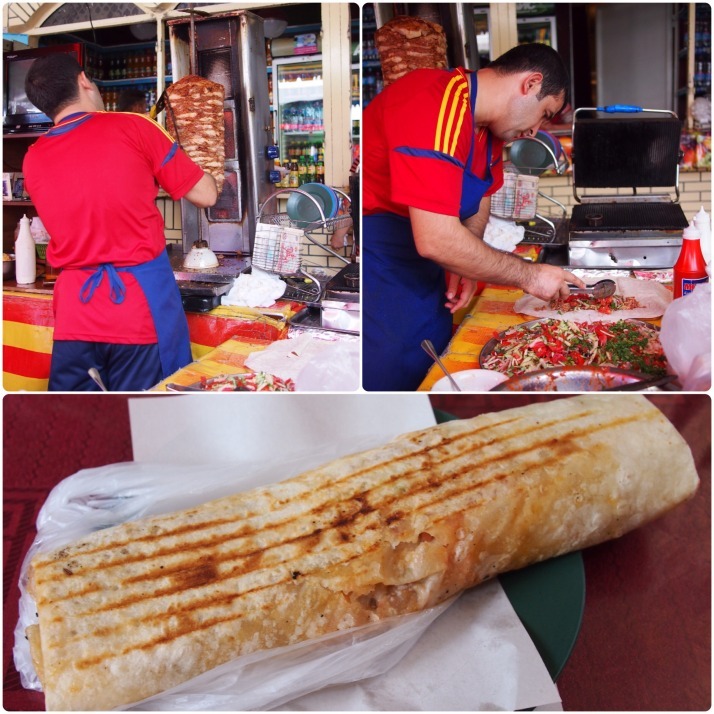 The other kind of kebab, doner kebab, is chicken or beef stacked up into a huge pillar and cooked next to a vertical grill with the outer layers being carved off as they cook. It was possible to get the meat in various kinds of bread but our favourite way was rolled with salad, mayonnaise and ketchup in a huge flatbread called lavash and warmed in a sandwich toasting grill. Yum. Laghman is a hearty noodle soup with meat and vegetables and became a firm favourite of ours. The noodles are somewhere between Japanese udon and Italian linguine, and the broth is meaty and flavourful. We also had a dry version where the noodles were fried with the meat and vegetables. Laghman was what we found most often but we had a variety of other soups and stews as well. 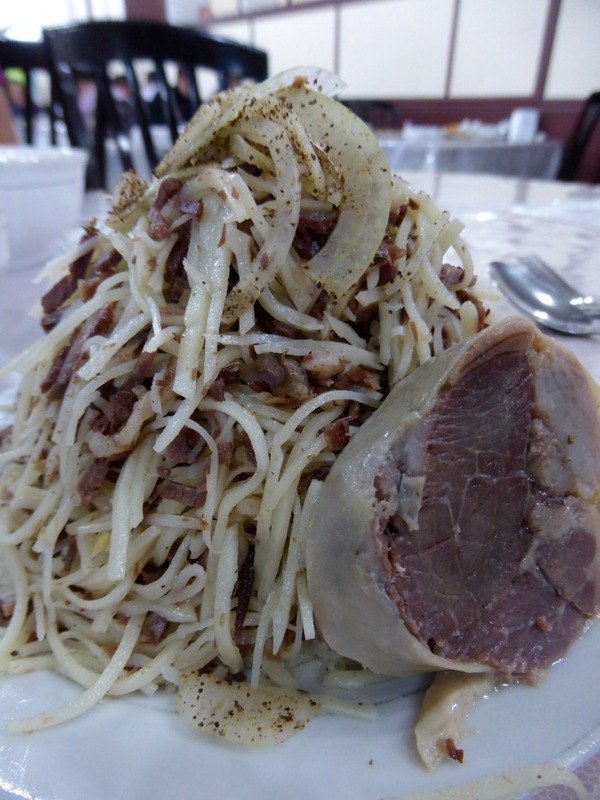 Cold noodles mixed with horse meat and heavily seasoned with salt and pepper. Much tastier than it sounds! When I did a bit of online research about these I found that the name usually refers to a Russian or Ukrainian dish of cabbage leaves stuffed with seasoned mince and rice. 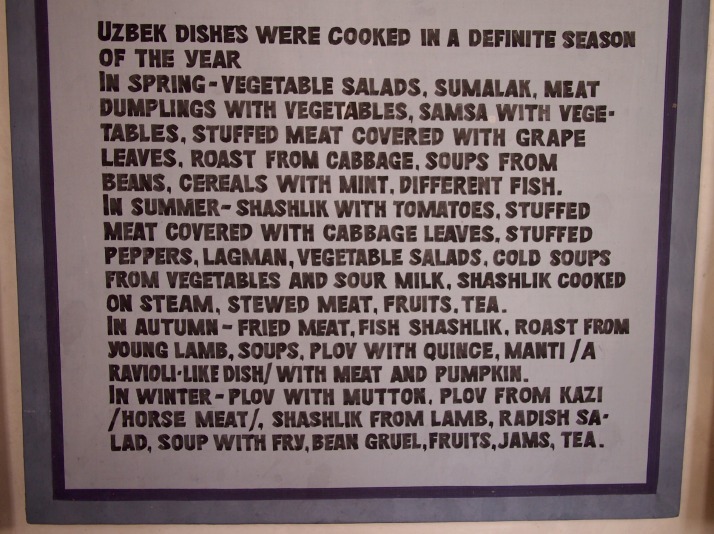 The Uzbekistan spin seems to be to use green peppers instead of the cabbage. They were sometimes served in a soup and it was a nice change to have the vegetable as the central part of the meal (although obviously they’re not vegetarian). 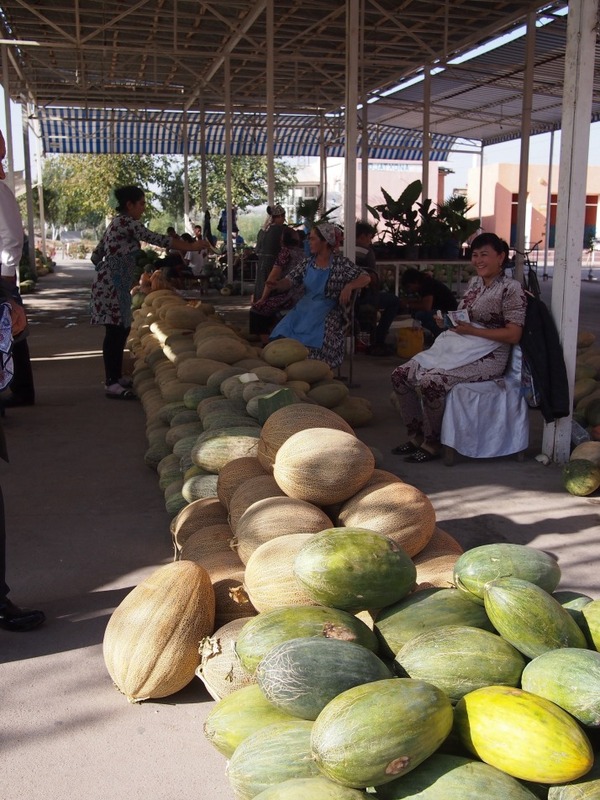 Uzbekistan’s very sunny summers produce some incredibly good fruit. 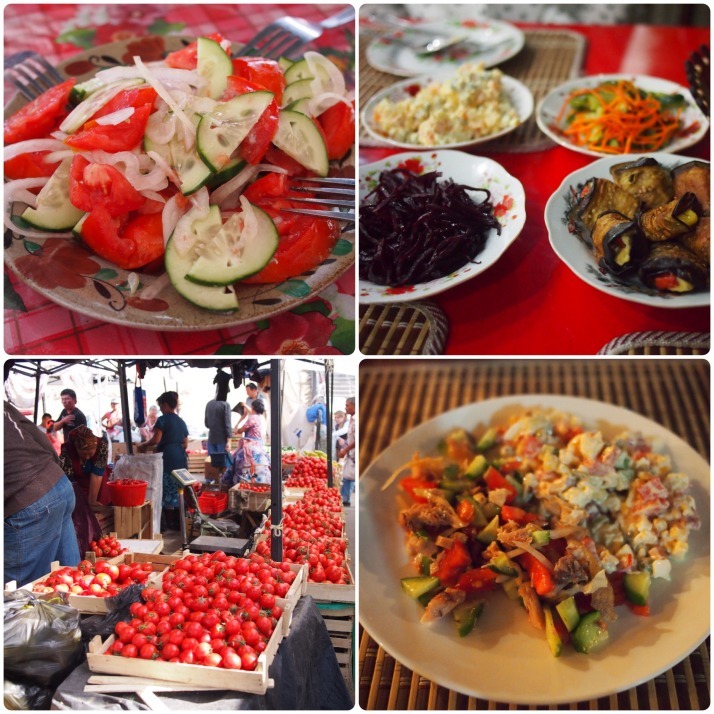 We had unbelievably sweet and juicy melons, peaches and grapes and they were very cheap – a whole melon cost only £0.40! Dried fruit such as apricots and raisins were good for snacks. 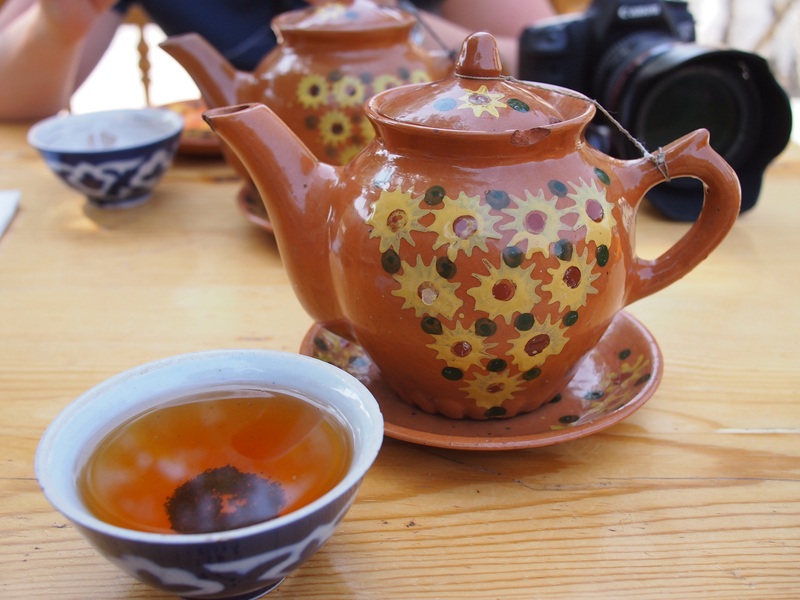 Alcohol – although Uzbekistan is a Muslim country, there was no stigma attached to drinking alcohol. Beer was our most common choice but we tried the local vodka and wine too – even doing a wine tasting in Samarkand. 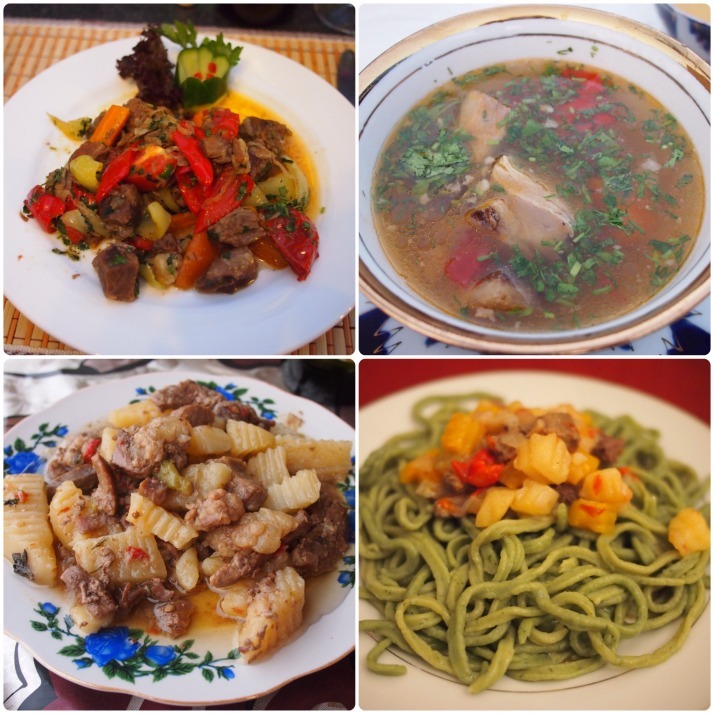 This entry was posted in Experiences and tagged Food, Uzbekistan on October 16, 2014 by Julie. I sense a follow-up opportunity to your travel book here… working title “My tummy and it’s World of Friends” perhaps? Really good to not only see the food (photo’s), but to have descriptions and ‘tastes like’ too!